Brewbound: Kona Brewing Company Releases Gold Cliff | Kona Brewing Co.
KAILUA-KONA, Hawaii – Kona Brewing Company today announces the latest addition to its Aloha Series with Gold Cliff IPA, a bold, juicy beer that highlights the adventurous spirit of the Hawaiian Islands. 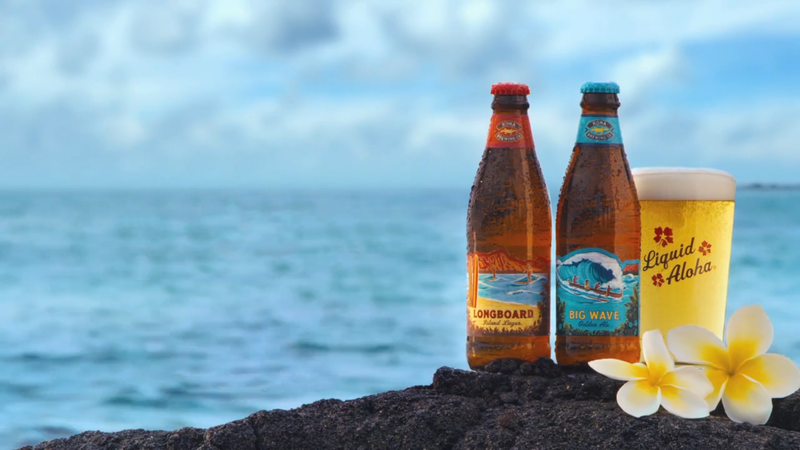 The new beer expands Kona’s ever-growing offerings to include a big, hoppy IPA with a Kona twist– juicy, tropical pineapple, an homage to the southern tip of Lanai, where the island’s first pineapple field overlooks cobalt blue waters. The 7.2% ABV Gold Cliff IPA pairs caramel & acidulated malts with easygoing aromas of Mosaic, Chinook, Topaz, and Citra hops for a cool embrace of Pacific paradise. Gold Cliff IPA draws thrill-seeking inspiration from the golden cliffs of Lanai, where for years adventurous Hawaiians have launched off a 70-foot bluff into Kaunolu Cove. Kona has instilled this same bold energy into every sip of the new Gold Cliff IPA, creating full-flavor taste for summer and beyond. Gold Cliff spotlights the deep history of hospitality and welcoming vibes of the sun-kissed island, by inviting beer drinkers to take a breath and embrace what matters most – whether that’s adventurous cliff diving or sipping this tropical IPA in the sun with friends and family. Kona Brewing Company’s Gold Cliff IPA will launch nationally May 7th, 2018 and will be available in draught and 6PKs at your local retailer. To learn more about Kona Brewing Company or Gold Cliff IPA, visit konabrewingco.com, follow @KonaBrewingCo on Twitter and Instagram and check outwww.youtube.com/konabrewingco. Access the Brewbound article here.